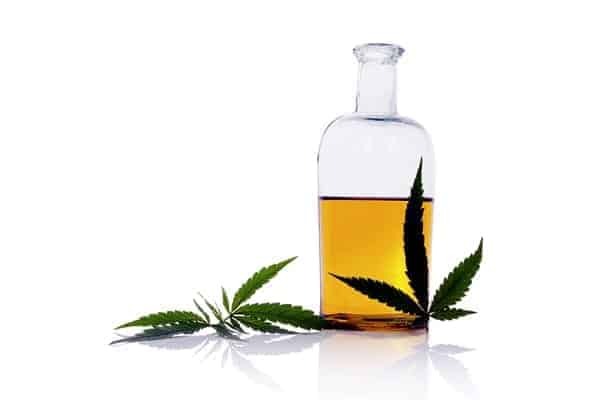 Cannabidiol oil has always provided a multitude of beneficial uses. But, where there is a positive, there is also a negative. Society has chosen to weigh in on one of the less enhancing cannabinoids, THC, throwing out the baby with the bathwater. Recent laws and studies, however, have made it possible to focus on all the attributes of cannabis, and the findings have been amazingly positive and powerful. This leads to the question of how CBD oil can be utilized in targeting desired weaknesses of the body. CBD extract is made from cannabis flowers that are up to 15 percent CBD and is being hailed for its nutritional and medicinal properties. Using an extract from the flowers and stems of cannabis, grown from the seeds of specific strains, an active ingredient is produced for all types of illnesses and disease. Many years have passed since scientists first discovered supporting evidence that CBD oil could be used in the potential interference with cancer cell migration, tumour neovascularization, and metastasization, which allows for the spread of cancer within the body. Individual studies are now in high gear to do more than provide a treatment for invasive cancers, but to also study how the decrease of the activity of cancer cells could become better controlled, naturally. An array of medical conditions have brought pharmaceutical companies to become fat and wealthy. Many synthetic drugs could become extinct if certain properties of CBD oil were found to be beneficial. According to some patients that have used this substance, the side effects are decreased because of no synthetic chemicals. A few of the areas of treatment, as advertised by patients, include alcohol and opiate abuse, Alzheimer’s disease, asthma, arthritis diabetes mellitus, epilepsy, leukemia, migraines, nausea and vomiting, and pain relief from spinal cord injuries. While still in the testing phase, the potential for helpful natural relief could one day become a reality. Depending on the condition that needs to be treated, CBD is available in a variety of forms. Topicals, oil, tablet form supplements, and vaporizing mist kits, are some of the many choices. Tea bags, shampoo and body lotions are a great way to experience the nutritional value of CBD as an antioxidant and getting a boost of depleted omega fatty acids. These types of formulations make CBD oil an easily controllable aid for treatment. Because of the small amount of publicity on CBD oil, it can be confusing as to the correct dosage that is needed to be advantageous. Starting out with 2 to 3 mg in pill form, per day, will prove that there are no harmful side effects, no hallucinations, or other fear tactics that are used by those that oppose any type of Cannabis use. There are also experts in the field that can provide recommended amounts for specific ailments. In addition to a regular regiment of CBD supplements, a few drops of prepared oil under the tongue can provide a higher concentrated amount of CBD when needed. Cannabidiol oil has only started to emerge as an aid for taking preventative measures against medical conditions. Learning the amount of concentration, recommended dosage, and selection of products, may seem foreign to you, but by visiting helpful sites that discuss the medical strains of CBD oil and its valuable purpose for mankind, we can finally relax by knowing that natural healing is possible.